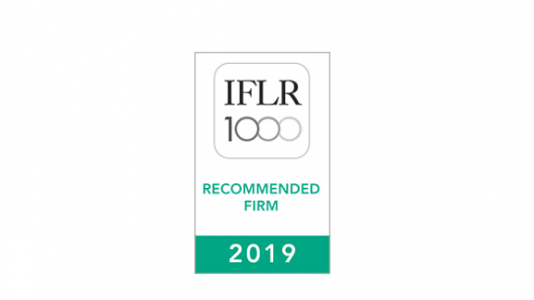 IFLR1000, the guide to the world's leading financial and corporate law firms and lawyers, has once again ranked MMAN Advocates and its key Partners, Suzanne Muthaura and Waringa Njonjo among the top Practitioners in Kenya in its 2019 rankings. The firm is ranked in the Financial & Corporate, Project development (Infrastructure, Mining and Power) practice areas. Suzanne Muthaura, Partner and head of MMAN’s Corporate Practice Group has been endorsed as a ‘Leading Lawyer – Highly Regarded’, while Waringa Njonjo, Partner and the firm’s head of the Projects Practice Group is recognized as a ‘Leading Lawyer – Rising Star’. The rankings are based entirely on IFLR1000’s independent research. The guide noted that ‘during the research period, MMAN Advocates was active in banking and finance, and M&A’, highlighting our advice to the Government of Kenya, Export Import Bank of the United States and Equity Bank of Kenya. Our M&A transactions, including ABB Verwaltungs’ acquisition of General Electric’s industrial solutions business, and acquisition of G4S Secure Data Solutions by Metrofile were also highlighted.